May 11 marks the holy Hindu event of Apara Ekadashi. The fasting day falls on the eleventh day during the Krishna Paksha (the dark fortnight of the moon) in the Hindu month of ‘Jyeshtha’. It relates to Gregorian May-June period. Any Ekadashi normally falls twice a month. This Ekadashi is observed by all Hinduism followers and like all Ekadashis, this Ekadashi is also dedicated to worshipping Lord Vishnu. It is believed that by observing Apara Ekadashi vrat all the sins of the person will be washed away. The word ‘apar’ in Hindi implies ‘limitless’, and by observing this Apara Ekadashi vrat, a person is believed to get unlimited wealth. Another meaning of this Ekadashi is that it gives unlimited benefits to its observer and the significance of Apara Ekadashi is stated in the ‘Brahma Purana’. Popularly known as ‘Achla Ekadashi’ in some places, it is referred to as Bhadrakali Ekadashi or Bhadrakali Jayanti in some states including Punjab, Haryana and Jammu & Kashmir. In Odisha, this Ekadashi is called as Jalakrida Ekadashi and Lord Jagannath is worshipped. There are many legends associated with Achla Ekadashi. One of the legends states that the greatness of Mohini Ekadashi was first narrated by Lord Krishna himself to King Yudhishthira, the eldest son of King Pandu. Lord Krishna stated that a person keeping this Ekadashi vrat will be very renowned due to their meritious deeds. He said that the festival is chiefly celebrated in the dominant Hindu communities during which they seek perfect solution so that their past sins could get washed off successfully. This is why people in large numbers maintain fast on the auspicious day. It is also stated in the Hindu scriptures and Puranas that by keeping this sacred fast, a person gets the same benefits as taking a bath in the holy Ganges during the auspicious month of ‘Kartik’. The Apara Ekadashi vrat is a ray of light that can remove the darkness of one’s sins. 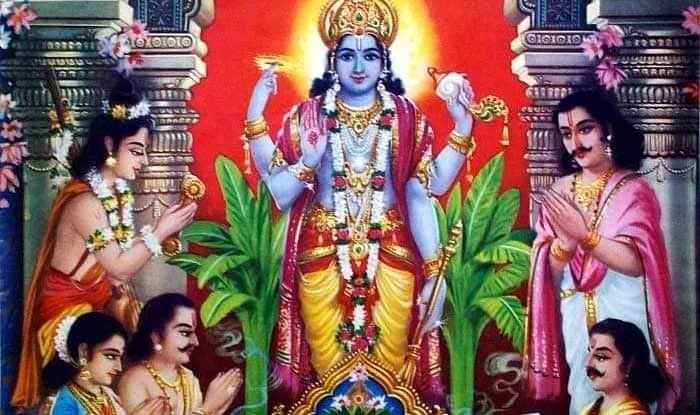 Another legend associated with Apara Ekadashi states that Lord Trivikarma, who is an incarnation of Lord Vishnu taught a fitting lesson to King Bali. As per the Puranas, it was in Treta Yug that King Bali started acting arrogant after being conferred with the title Chakravarty Samrat. His pride increased so much that he made Lord Indra leave from Heaven after attacking it. Indra sought asylum from Lord Vishnu who took the avatar of Vamana (dwarf) showing that he is Trivikrama, the Lord of Three Worlds. King Bali realized his mistake and obliged to Lord Vishnu. Owing to its prominence, Apara Ekadashi is also known as Jyeshtha Krishna Ekadashi, Vaishakh Vadi Ekadashi, and Achala Ekadashi. On this auspicious day, the devotees need to take special care of the puja and perform all the rituals with complete devotion and dedication. The observer of this fast should get up before sunrise and take bath. The devotees then offer Tulsi leaves, flowers, dhoop and sweets to Lord Vishnu and also recite the Apara Ekadashi vrat katha or story. The Achla Ekadashi vrat begins on the ‘dashami’ (10th day). On this day, the devotees of Lord Vishnu observe a strict fast by spending the day without eating or drinking anything. Some people who are unable to keep a whole day fast keep a partial fast by consuming ‘falahar’ all day. The vrat starts from sunrise and ends on the sunrise of the ‘dwadashi’ (12th day). It is believed that no one should eat grains especially rice on the day of Ekadashi. Applying oil on the body is prohibited on an Ekadashi, according to Hindu scriptures.